I have an issue with my OneDrive sync after updating my Enpass desktop App on my Windows 10.0.16299.904 PC. It was working before updating to Enpass v6. The error number is 507035. (I am also still using Enpass app on a Win 10 Mobile phone but I've noticed it can't sync anymore with Desktop v6). 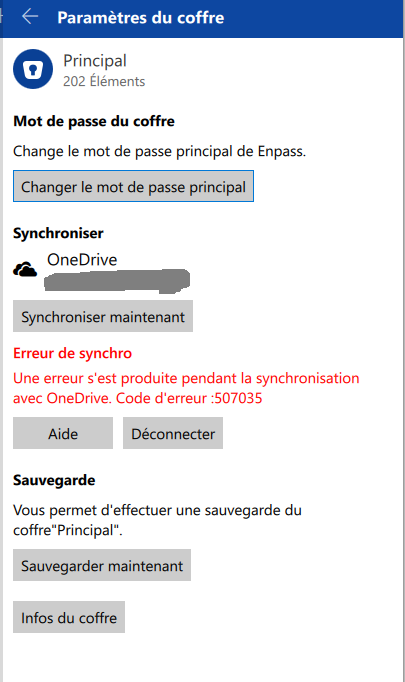 I would suggest you please try re-connecting the OneDrive sync and check. thanks for your answer. 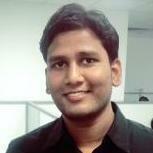 I did try to disconnect and re-connect the OneDrive sync but it didn't work. I have always this error message.